A below-ground shelter can reduce the midday heat as much as 30 to 40 degrees F. However, building it requires more time and effort than for other shelters. Since your physical effort will make you sweat more and increase dehydration, construct it before the heat of the day. • Find a low spot or depression between dunes or rocks. 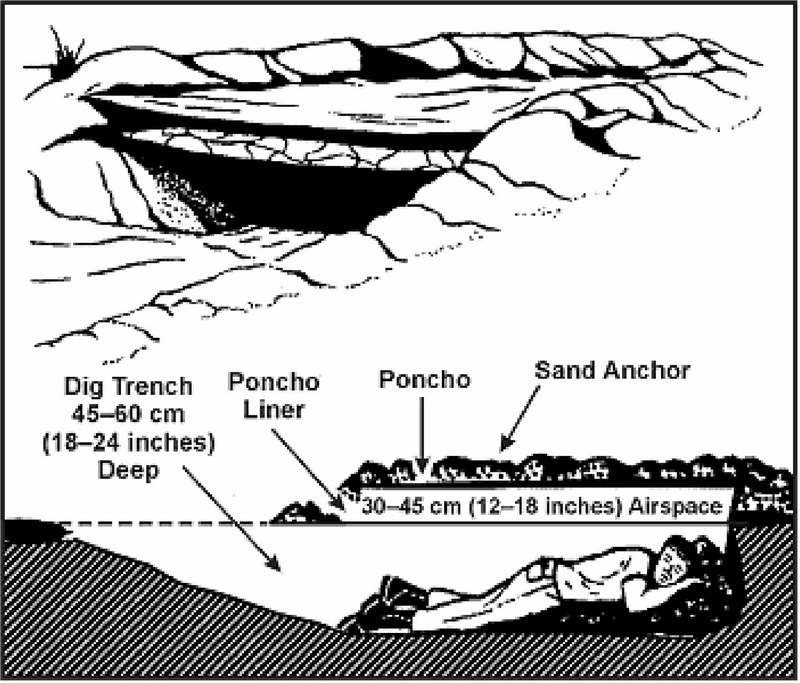 If necessary, dig a trench 18 to 24 inches deep, and long and wide enough for you to lie in comfortably. • Pile the sand you take from the trench to form a mound around three sides. 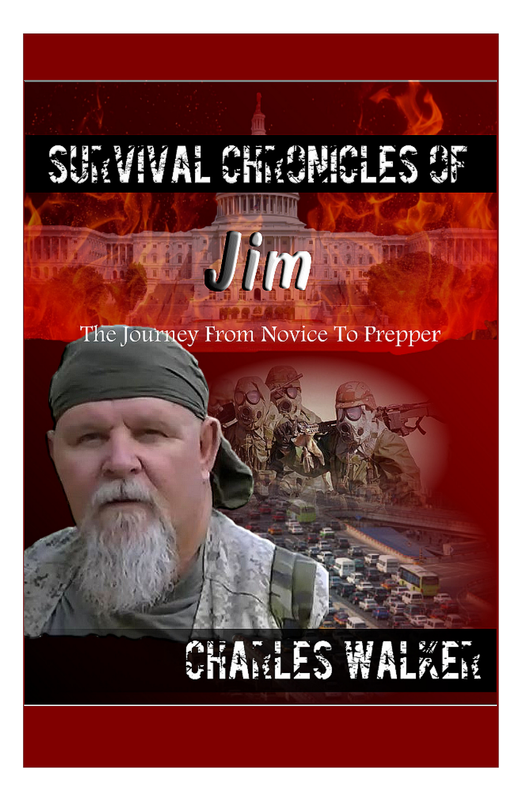 • On the open end of the trench, dig out more sand so you can get in and out of your shelter easily. • Cover the trench with your material. • Secure the material in place using sand, rocks, or other weights. 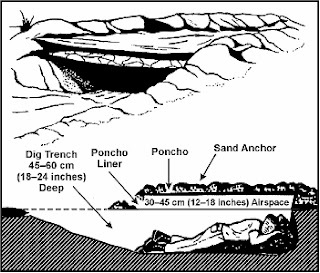 If you have extra material, you can further decrease the midday temperature in the trench by securing the material 12 to 18 inches above the other cover. 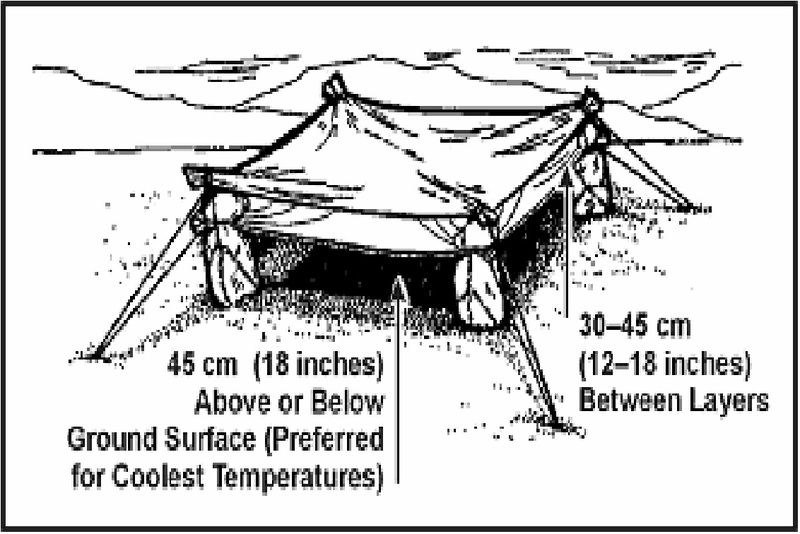 This layering of the material will reduce the inside temperature 20 to 40 degrees F.
Below is a similar type shelter. The open desert shelter is of similar construction, except all sides are open to air currents and circulation. For maximum protection, you need a minimum of two layers of parachute material. White is the best color to reflect heat; the innermost layer should be of darker material.